As the newest member of the OnSite Mobile App Family, the sleek new OnSite Logging App powered by ConstructionOnline gives construction professionals a faster, easier way to keep track of daily activity at the jobsite. By combining traditional work logging methods with pictures and video, the app allows users to create more organized and complete project logs that are both easier to use and contain more essential information. As part of the beta for ConstructionOnline Pro Features, UDA Technologies has unveiled the new Calendar tool. The digital platform allows users to manage all of their daily activities, appointments and events - all from one place. They can then find exactly what they're looking for by toggling through the different filters for types of activities, timeframes, and assigned contacts. UDA Technologies has introduced a new feature in its growing list of advanced ConstructionOnline Functionality - Online To Dos. The To Do functionality is essential for keeping a project team organized, helping to ensure that projects are completed on time and on budget. The centralized To Do list allows users to focus on a specific project, or instead supervise the progress of multiple projects at once by organizing tasks by completion status. 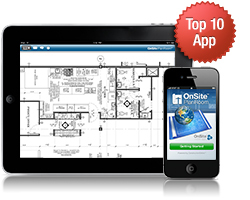 New OnSite for iOS Updates Offer 5.1 Compatibility and More! New updates made to the OnSite Mobile family for the iPhone and iPad take advantage of Apple's revolutionary Retina Display, giving crystal-clear resolution to all of the photos and documents managed by the apps. UDA Technologies has seen a breakthrough in the amount of users on its web collaboration platform ConstructionOnline. Due to this rise in usage, UDA has invested in heavy expansion and improvement of its ConstructionOnline Server infrastructure which means better performance for existing users and ensures that UDA Technologies will be able to grow in the future.